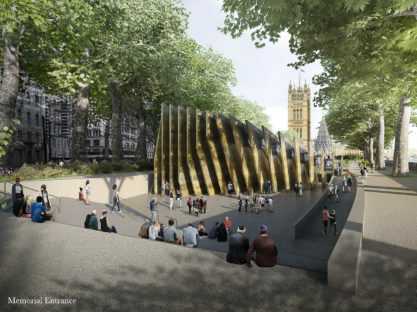 In September 2016, on the advice of the United Kingdom Holocaust Memorial Foundation, the Department for Communities and Local Government launched an international two-stage design competition for a National Memorial to honour the victims and survivors of the Holocaust and Nazi persecution. 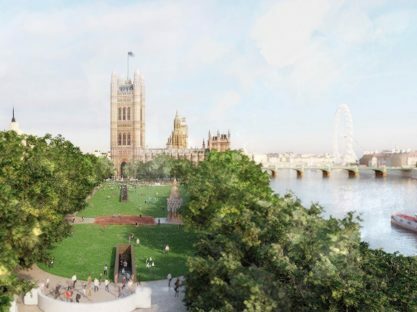 The Memorial’s site, alongside the Houses of Parliament at the heart of Britain’s democracy, is in Victoria Tower Gardens adjacent to the River Thames. The Gardens already has a memorial-narrative inspired by democratic values, which aligns with the project. Three prominent monuments, dating from the mid-to-late nineteenth and early twentieth century, commemorate the expansion of suffrage, the abolition of slavery and civic sacrifice. The design challenge was to create an outstanding and sensitively-designed Memorial and Learning Centre that is emotionally powerful while offering visitors an opportunity to deepen their understanding of humanity’s darkest hour. 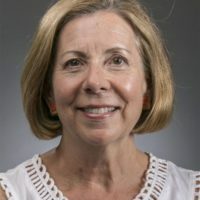 For some survivors – and those whose lives were affected by the Holocaust – survival stories can reveal glimmers of hope about human nature; for others, to perceive this moment in history as anything but unbearable is to compromise the Holocaust’s implacability. This was a two-stage international design competition and was run in accordance with EU procurement guidelines and the Public Contracts Regulations 2015. This competition was advertised in the Official Journal of the European Union (OJEU). The competition’s first stage, which closed on Monday 17 October 2016, invited Expressions of Interest from teams of architects, designers, artists, advisers and other consultants. From the almost 100 Expressions of Interest submitted, a shortlist of ten was selected to proceed to the competition’s second stage. The deadline for the second stage was Monday 23 January 2017. An exhibition of the finalists’ concept designs was held in central London and locations around the UK from January 2017. The Jury met in September 2017 to interview the shortlist, and unanimously selected the team led by Adjaye Associates and Ron Arad Architects as the winner of the competition. 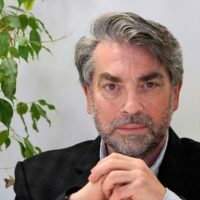 This international design competition managed by Malcolm Reading Consultants on behalf of the Department for Communities and Local Government – and the wider work of the UK Holocaust Memorial Foundation – fulfils the recommendations made by the Prime Minister’s cross-party Holocaust Commission in its report of January 2015. 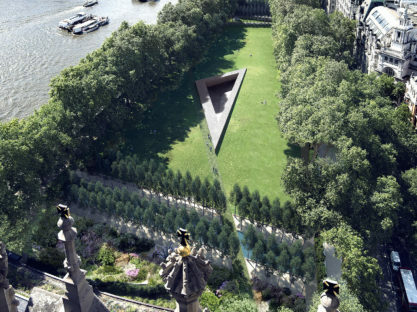 On Holocaust Memorial Day in 2016, the UK Government announced that the National Holocaust Memorial will be located adjacent to the Palace of Westminster in Victoria Tower Gardens, London. 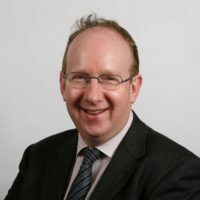 The Government has also been clear that in delivering this National Memorial it seeks to maximise the interpretative and educational benefits. 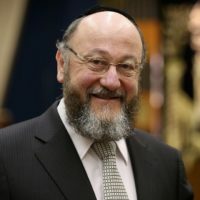 The Holocaust Commission was clear that the strongest way of delivering those benefits would be through the creation of a co-located Learning Centre. 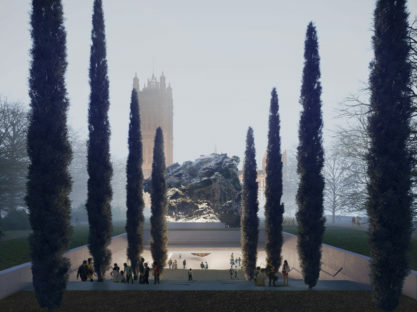 Following an extensive search of potential sites across London and a detailed analysis of Victoria Tower Gardens, the cross-party UK Holocaust Memorial Foundation formally recommended to Her Majesty’s Government that such a Learning Centre should indeed be co-located (below ground) with the National Memorial in Victoria Tower Gardens. As a result, the competition sought holistic designs comprising two key parts. 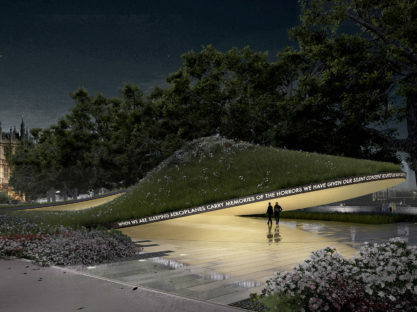 The first part fulfilled the minimum commitment of a National Memorial, requiring an outstanding design for a stand-alone memorial, including landscaping and above ground work. 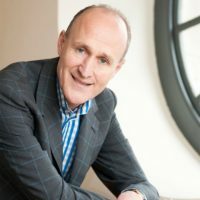 The second part was the below ground Learning Centre component, which will be taken forward subject to technical, financial, planning or other constraints. Both parts were considered holistically together, as set out in the competition documents. 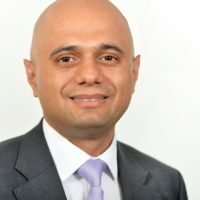 Her Majesty’s Government has committed £50 million as its contribution to the total project costs of the National Memorial, the creation and running of a co-located Learning Centre and additional wider educational work on the Holocaust. In taking forward the winning design, HM Treasury standard Green Book processes for capital projects will be applied. Stage One of the competition sought multi-disciplinary creative teams with expertise in architecture and design, landscape architecture, and interpretation. 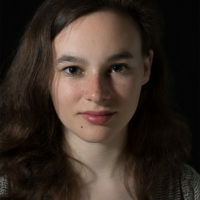 Teams could also have included an artist, way-finding specialist, access consultant, education specialist, and any other skills which were considered necessary. 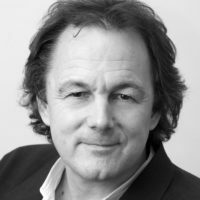 The teams were to be structured under a lead consultant – an architect – identified within the submission. The Memorial and Learning Centre will be specifically about the importance and relevance of the Holocaust to the United Kingdom, and the challenge for designers was to think about how to create an original memorial that expressed the project’s design values (opposite), potentially had different aspects by day and night, and established an atmosphere or aura that prompted respect, reflection and active remembering. The project costs are estimated to be up to £40m (this is the cost of works, including contractor Preliminaries, OH&P, contingency, inflation, all professional fees, site preparation and VAT where applicable) – please see the Expression of Interest for more details. The Learning Centre, expected to be circa 2,650m2, will not be a conventional exhibition or teaching centre. 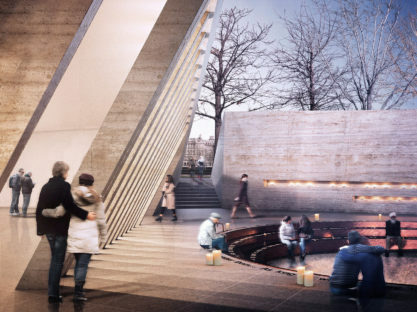 Instead, it will use the architecture, design and interpretation to set the Memorial in context and to convey the magnitude of what happened, whilst ensuring visitors leave the site with a deeper understanding of the Holocaust and its victims. The first stage ran from Wednesday 14 September to Monday 17 October 2016 and was an open, global call for participation based on technical or professional capability and past experience. Such was the quality of submissions that the originally envisaged shortlist of six teams was expanded. Ten teams were selected to move to Stage Two, and they were asked to produce concept designs for the Memorial and Learning Centre. 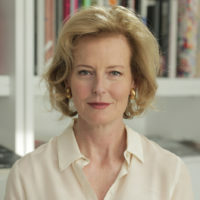 Following submission and initial assessment, a final interview with the Jury was held to determine a winner. The Jury unanimously selected the team led by Adjaye Associates and Ron Arad Architects as the winner of the competition. An honorarium of £15,000 was awarded to each of the shortlisted teams following the selection of the winner. For full details of the Brief, please see the Expression of Interest document. 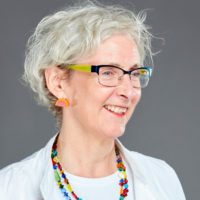 The competition was organised by the London-based international design competition consultancy, Malcolm Reading Consultants. 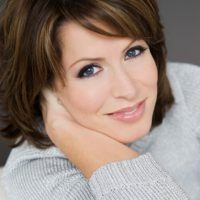 Be an outstanding, ambitious, sensitive design that creates an emotionally powerful place for reflection and learning. Become a landmark of national significance, highlighting the importance and relevance of the Holocaust to the United Kingdom’s history. Establish a place where current and future generations can come to remember the Holocaust and commemorate its victims, and which is also a focal point for annual national commemorations. 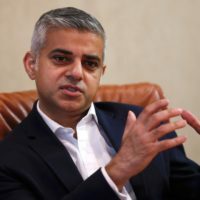 Affirm the United Kingdom’s commitment to stand up against prejudice and hatred, inspire reflection and compassion, and encourage visitors to respect and embrace difference. Be sombre but not shocking; convey the magnitude of what happened in a meaningful and comprehensible way: give visitors a deeper understanding of the Holocaust and its victims. 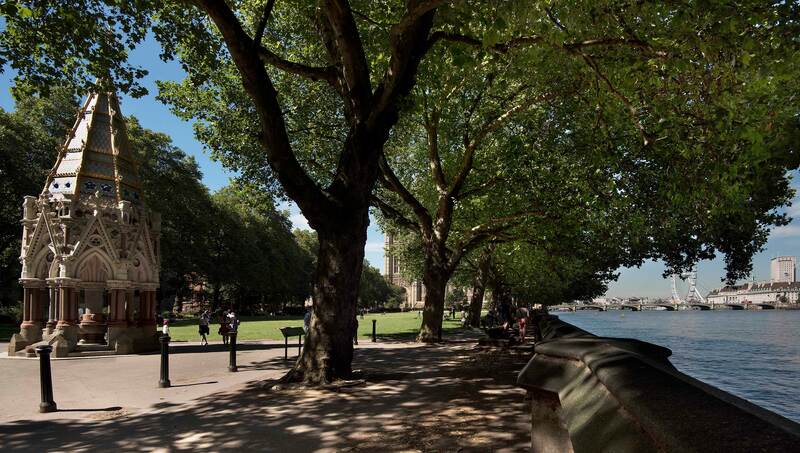 Combine design, landscaping and place-making to enhance Victoria Tower Gardens – improving the visual and sensory experience of the green space, giving it focus and civic presence, both for visitors and existing users. 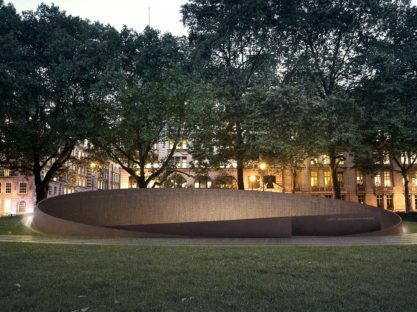 Be a logical and harmonious addition to the existing memorials in the Gardens, all of which can be viewed as a physical representation of the United Kingdom’s conscience and values. 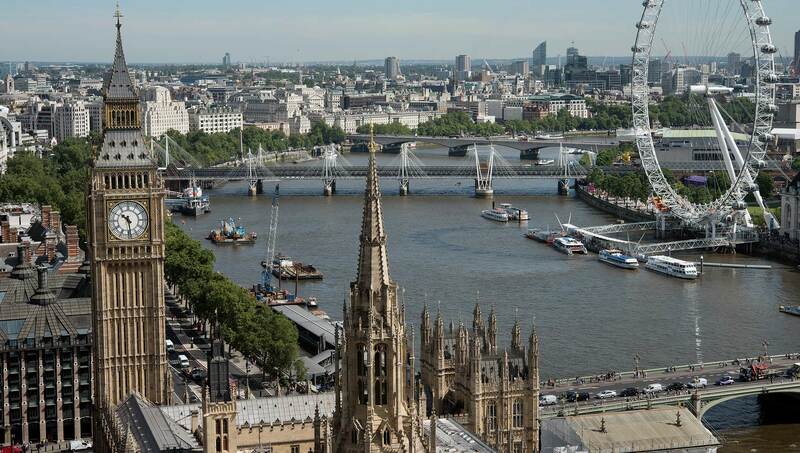 Address the sensitivities of the historic, political and national importance of the exceptional setting, adjacent to the Palace of Westminster, a UNESCO World Heritage Site, and the River Thames – and in one of the most visited, and recognisable parts of London. 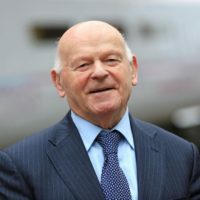 Be widely accessible and communicate to all visitors – regardless of age, faith, background, nationality, language, or knowledge of the Holocaust – attracting and involving people outside the established audience. Convey the enormity of the Holocaust and its impact, reflecting the centrality of the destruction of European Jewry to Nazi objectives. Victoria Tower Gardens is located on the north bank of the River Thames and bordered by the Palace of Westminster. 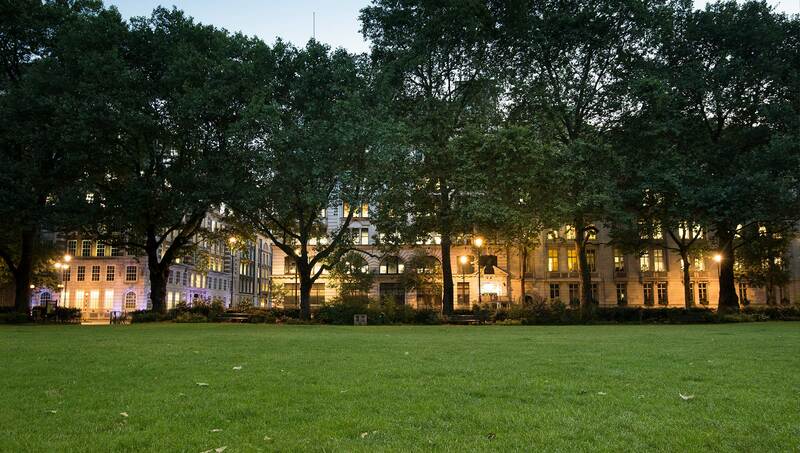 Managed by The Royal Parks, Victoria Tower Gardens is a designated Grade II listed garden within the buffer zone – though not the boundary – of the Westminster World Heritage Site (WWHS) and in close proximity to a number of celebrated listed buildings. Most notably, the Palace of Westminster, to the north of the Gardens, is a Grade I listed building within the WWHS and within the Westminster Abbey and Parliament Square Conservation Area. Victoria Tower Gardens has an existing memorial-narrative with a series of monuments associated with democracy: the abolition of slavery, the fight for universal suffrage and civic sacrifice. These are: the Buxton Memorial (Grade II*, 1865), the Statue of Emmeline Pankhurst (Grade II, 1930), and the Burghers of Calais (Grade I, 1915). A contemporary addition is the new Parliamentary Education Centre, opened in 2015, which aims to inspire and connect young people with Parliament and democracy, using a range of education techniques, including Parliament-themed learning rooms, augmented reality experiences, 360° projections and sound technology. 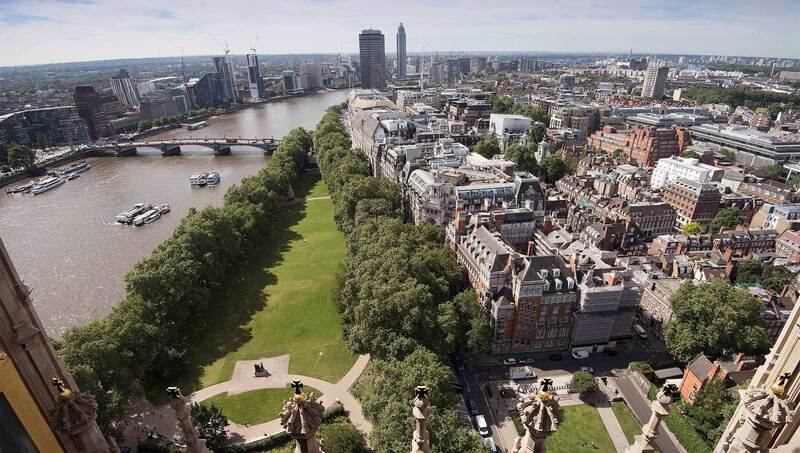 Victoria Tower Gardens, which opened in 1914, was created as part of the Thames Embankment. A map of 1878 shows the site entirely covered in wharves and houses, while a map of 1896 shows the very beginnings of the Gardens’ development. Over the course of a year, visitors to Victoria Tower Gardens are anticipated to number up to one million. 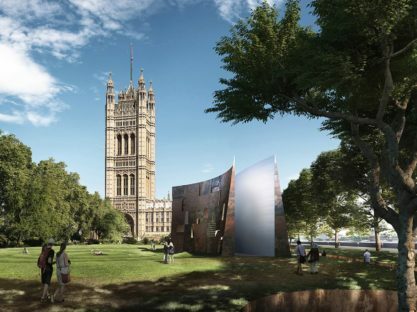 The UK’s National Holocaust Memorial and accompanying Learning Centre will stand in the shadow of Parliament, at the very heart of our democracy, in Victoria Tower Gardens. This striking new structure will honour victims and survivors of Nazi persecution, educate future generations about the dangers of where prejudice and hatred can lead and serve as a powerful statement of our values as a nation. The international design competition launched by the UK Holocaust Memorial Foundation in September 2016 sought to identify the very best architectural talent to create an emotionally powerful and sensitively designed memorial. Ninety-two teams entered the competition, with a shortlist of ten invited to submit concept designs. These designs were displayed publicly at a number of venues across the UK, as well as online. Consultation with the public, those working in the field of Holocaust remembrance and education, as well as technical experts, played a role in informing the final decision of the Jury. 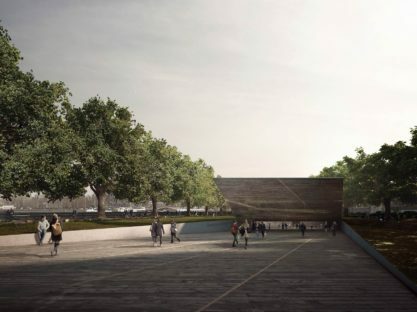 After an international competition, with 92 entries in total and ten finalists, Adjaye Associates, Ron Arad Architects and Gustafson Porter + Bowman have been unanimously selected to design the UK’s new Holocaust Memorial and Learning Centre. 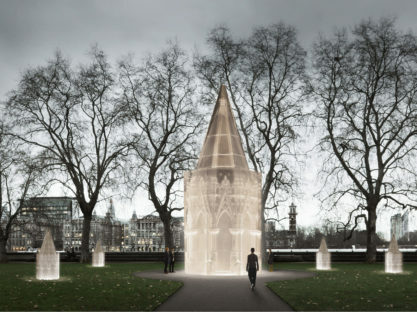 The UK’s National Holocaust Memorial and learning centre will stand in the shadow of Parliament, at the heart of our democracy, in Victoria Tower Gardens. This striking new structure will honour victims and survivors of Nazi persecution. It will also educate future generations about the dangers of prejudice and hatred, and serve as a powerful statement of our values as a nation.